Nancy Clausen was born in Albany New York. After marrying her husband, she moved to various places in the southeast, settling in Raleigh, N.C. for 37 years. She and her husband now reside outside of Asheville, NC. She has enjoyed art all her life, but it wasn’t until her mid fifties, after raising their three children, that she was able to pursue her art on a personal level. She has attended many classes and workshops with local and internationally know artists, among them Luana Luconi Winner Alan Flattmann, Carole Katchen, Albert Handel, Lois Griffell and Bob Rohm, and Margaret Dyer, Ann Templeton and Richard McKinley. 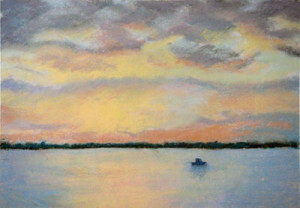 She has been inspired by the paintings of Monet, Whistler, Elizabeth Mowry and Wolf Kahn. During the past years she has been a member of the Pastel Society of North Carolina, Sertoma Artists Association, where she served as President for over two years; The Fine Art League of Cary, and Visual Art Exchange. 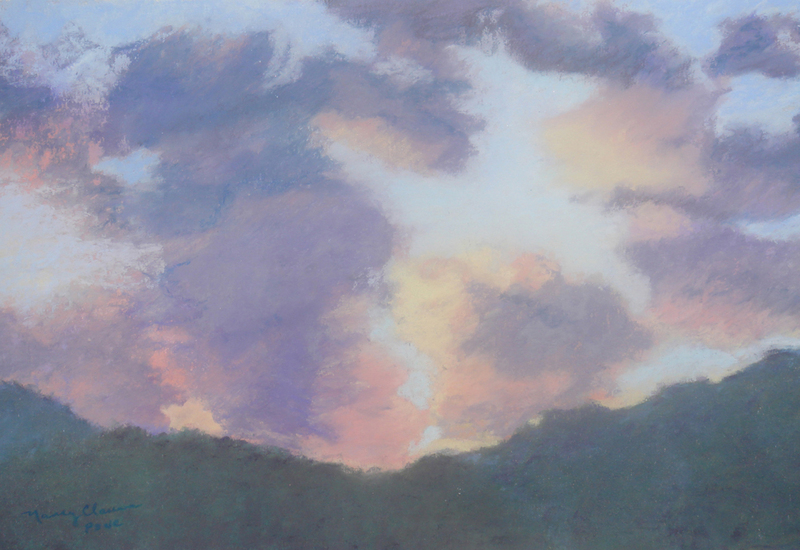 Currently she is a member of the Swannanoa Valley Fine Art League in Western North Carolina and the Appalachian Pastel Society where she served on the board in various capacities for six years. 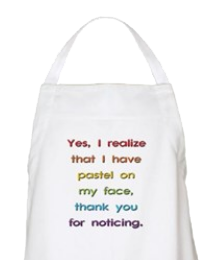 Nancy is also a member of the Southeastern Pastel Society. She has won numerous awards including juried shows at Visual Art Exchange, Burlington Art League and the North Carolina State Fair. In the spring of 2007 she was juried into the front gallery of Visual Art Exchange. Nancy had a solo show at the Women’s Club of Raleigh in December of 2007. In 2008 and 2010 she was juried into the Appalachian Pastel Society’s National Show in Hendersonville and Waynesville, N.C. and in 2009 won 2nd place at the WNC state fair. Just recently she was written up in the Rapid River Magazine. She is currently represented by the AnTHM Gallery in Black Mountain, NC. Many of her paintings have been inspired by the places she has traveled and are usually painted in pastel, a medium she finds expresses her feelings of peace, serenity and beauty in the places she has been. Her main interest is painting landscapes of the mountains and seashore. Her work is in private collections in New York State, Virginia, North Carolina and as far south as Mexico. 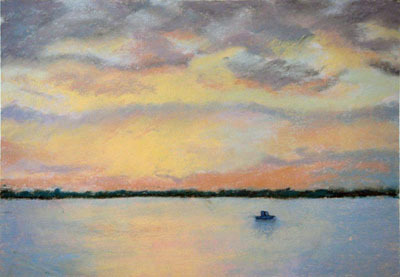 Nancy hopes to convey her feelings of peace and serenity that she feels as she paints to those who view her work.